Design Friday. 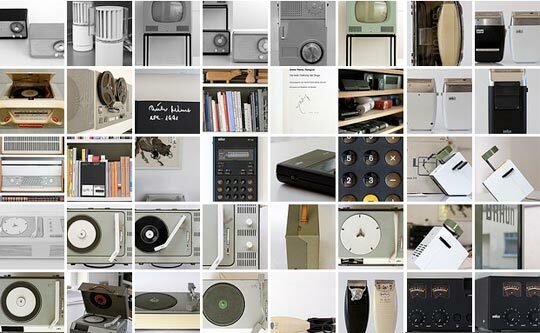 Let’s Kick Out The Jams With Dieter Rams! Christmas is on Friday this year, so Design Friday is on Thursday, because I am not blogging on Christmas. When I was around ten or so, I was at a friend’s house, we were hanging out and he had just purchased the latest Who album. He wanted to listen to it and I was game, but the thing that stuck with me more than any of the music on the record, was his dad’s Braun Stereo, and how absolutely cool it looked. That stereo hands down was one of the coolest pieces of design I think I have ever seen. Minimal, white with wooden accents, analog gauges, sleek, modern and timeless. Sheer perfection. 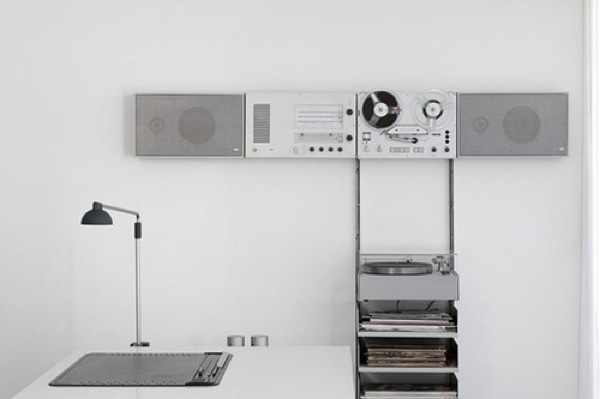 Ever since then I have wanted a classic Braun Stereo designed by Dieter Rams. The ten principles listed above define Dieter Rams’ approach to design. Each of the products he has worked on over the last forty years with Braun, have an unerringly elegant and supremely versatile manner about them. Stereo units were always made in modular sizes to be stacked vertically or horizontally. Buttons, switches and dials were reduced to a visual minimum and arranged in an orderly logical manner. 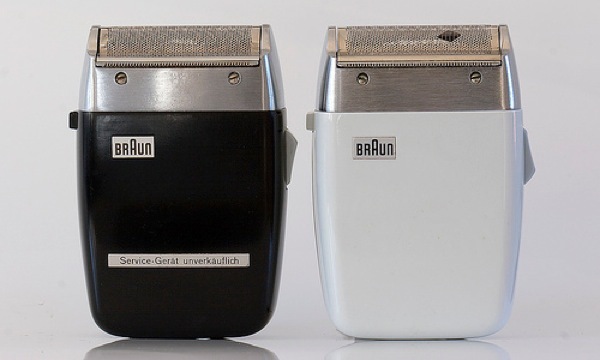 Rams even devised a system of color coding for Braun’s products, which were always made from a neutral pallet, in shades of white and grey with natural wooden trim. The only splash of color was applied to the switches and dials on the units. Rams’ primary objective was to design useful products which would be easy to use. Yet he achieved much more through the formal elegance and technical virtuosity of his work. Rams’ designs always looked clean and effortless with an exquisite simplicity born from rigorous tests and experiments with new materials, and an obsessive attention to detail which ensured that each piece appeared flawlessly coherent. Dieter Rams is still an enduring inspiration for younger designers all over the world, most notably Jasper Morrison, and Jonathan Ive, who have both acknowledged his influence in their work at Rowenta and Apple. Dieter Rams, born in Wiesbaden Germany in 1932 loved to watch his grandfather at work as a carpenter and briefly interrupted his study of architecture and interior design at the local art school in the late 1940s to become an apprentice carpenter. After graduating from art school Rams joined an architects’ office in Frankfurt in 1951 and, four years later, was employed by Braun as an architect and interior designer. Braun was founded in Frankfurt in 1921 by the engineer Max Braun, the company had a solid reputation for engineering and for developing new products, including the first combined radio and phonograph. After Max’s death in 1951, his sons Artur and Erwin took charge and repositioned Braun to benefit from the expansion of the post World War II consumer electronics market. This was a time of rapid technological change when manufacturers were harnessing the engineering advances made in the defence industry during World War II to develop new electronic products for consumers. It was also a time of changing taste as consumers moved from more traditional design looks to what would be known as Mid-Century Modern, and The International style. The first wirelesses, gramophones and television sets had been hidden inside wooden cabinets to resemble traditional furniture, but the new generation of post-war consumers had lost their parents’ feelings about technology, and saw it as an exciting symbol of progress and change. 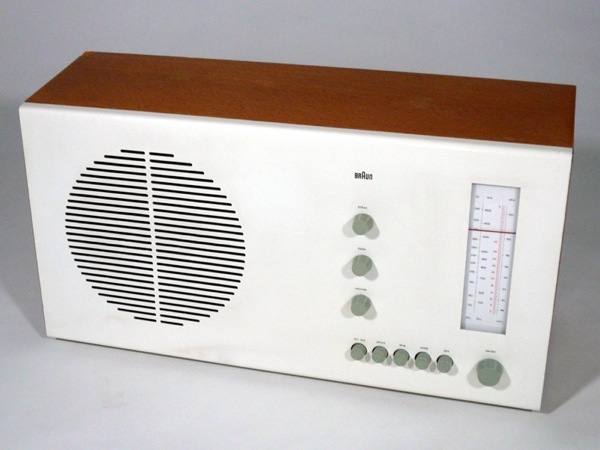 Realising that the styling of their products needed to become more sophisticated, in 1954 the Braun brothers asked the tutors of the recently founded Ulm School of Design to advise them on product design and recruited a new design team including Dieter Rams. When he arrived at Braun, Rams applied his architectural skills to the design of exhibition sets and offices, but became increasingly interested in industrial and product design. In 1956 he worked with the Ulm tutor Hans Gugelot on the development of the SK4 radio and record player. Abandoning the traditional wooden cabinet, they devised an unapologetically industrial metal case for the SK4 with two pale wooden sides. The operating panel was positioned on the top next to the turntable, rather than hidden away at the side. 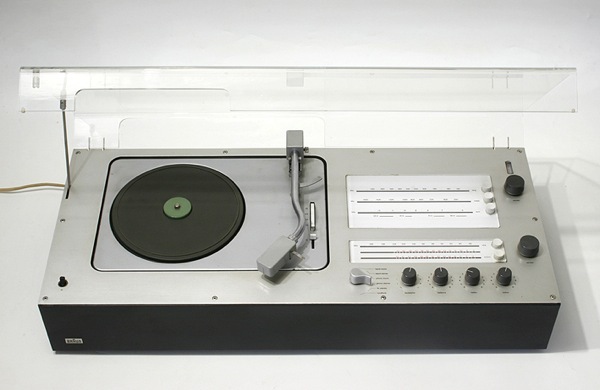 Originally the cover was to have been made of metal, but it vibrated too much in tests and was replaced with transparent plexiglass which exposed the mechanics of the record player. Rather than being repulsed by the sight of electrical apparatus, consumers considered it chic and transparent lids soon became an industry standard. The plastic lid also gave the SK4 its nickname – “Snow White’s Coffin”. As Rams continued to work he refined the design language he and Gugelot had adopted for the SK4, and with the following year’s introduction of the Atelier 1 hi-fi system and L1 loud speakers he began to solidify his signature style. Until then stereo systems had consisted of single units with integrated speakers, but Rams separated the speakers to make the receiver unit more compact. Subsequent developments in stereophonic technology guaranteed that this too would soon became a standard that has carried through even to today. Rams was determined to develop a coherent ‘family’ of products for Braun, he designed the Atelier 1 and L1 in the same proportions as the SK4. Consequently they could be used together with the L1 by being added to the SK4 to amplify its sound. All of the units had the same design materials and proportions. When placed together they function as a beautiful family of components that are unobtrusive and quietly elegant. Not only was Rams determined to ensure that Braun’s products were easy to use, he wanted people to enjoy using them. This meant that each audio product had to be perfectly attuned to the type of music which was popular at the time. 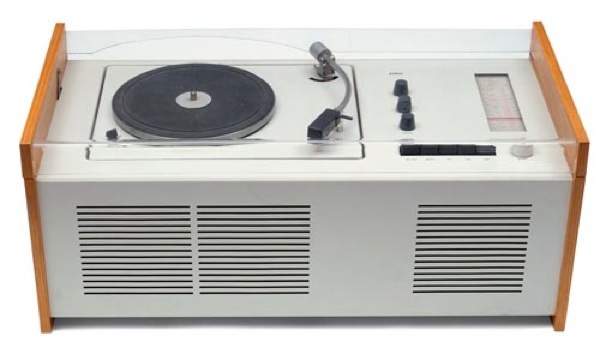 As musical taste changed throughout the 1960s, with the growing popularity of rock, pop, folk and then electronic music, Braun’s engineers constantly strove to adapt. When the LE1 electrostatic loudspeaker was launched in 1960, on the eve of the pop revolution, musical taste was still fairly conventional and the engineers’ objective was to produce a clear, transparent sound for jazz and classical music. Rams façaded the speakers with super-light membranes as a visual allusion to the clarity of the LE1’s sound while presenting it as a proud symbol of engineering innovation. In 1962 Rams was appointed to the position of Design Director for Braun’s team of talented young designers. Having established its own design resource, the company became progressively less reliant on advice from the Ulm tutors. Instead Rams divided the responsibility for the development of different products among the young designers in his team. 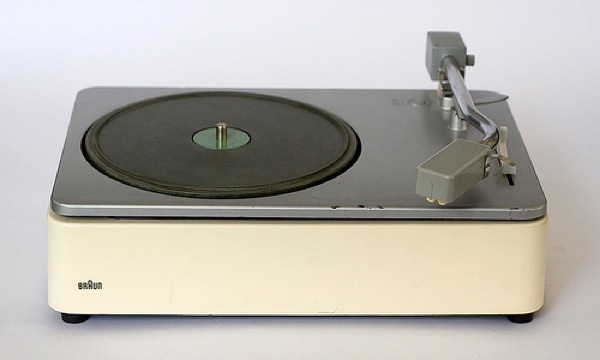 Gerd A. Müller was responsible for household products and Roland Weigend for scales, model-making and product graphics; while Rams concentrated on radios, record players, lighting and projectors. With the development during the 1960s of new transistor technologies. Braun began replacing the large, hot radio tubes which, until then, were required to produce high quality sound. Transistors enabled Braun to develop smaller cleaner audio products with large top surfaces on which Rams could arrange the buttons, dials and other operating elements in a logical ordered, legible composition. An excellent example is Rams 1962 Audio 1 radio and record player. With this unit Rams for the first time designed a complete set of modular components, including the L45 speaker and TG60 tape recorder. 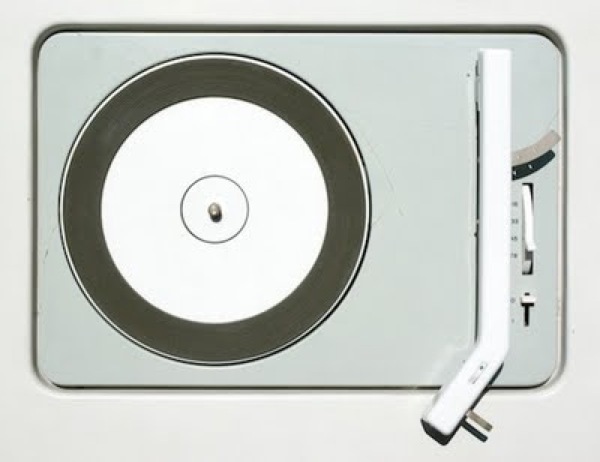 All the units, except the record player, could be displayed horizontally and vertically or wall-mounted. 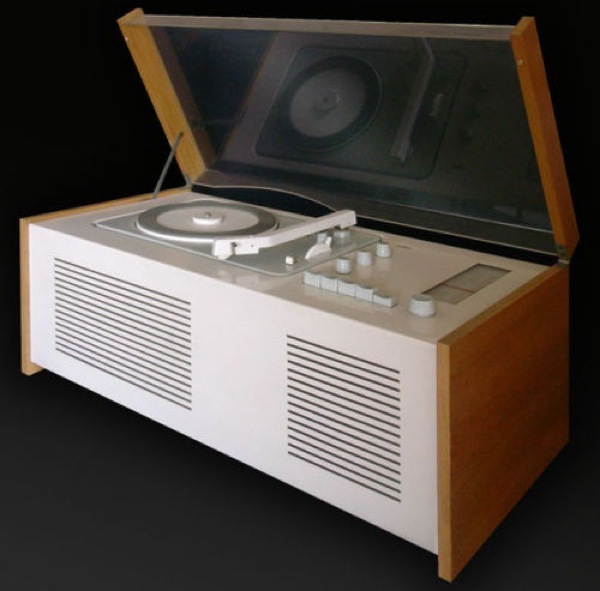 This was a ground-breaking concept that was later followed by other stereo giants like Bang and Olufsen. 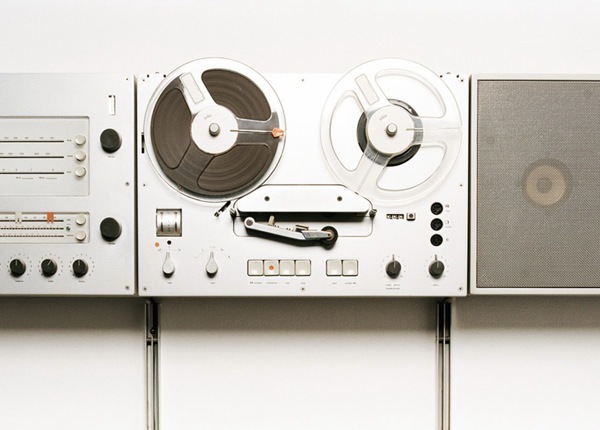 By 1963, when Rams developed the TS45 control unit, TG60 tape recorder and L450 loudspeaker, He had perfected the visual design system for Braun design in terms of structure and color. Each unit was exactly the same size to give the user maximum flexibility in deciding how to combine and display them, either vertically or horizontally. In terms of color coding, the steel plate case of each audio unit was in white or charcoal grey with an aluminium cover lid. The operating elements were pale or dark grey except for the green on/off switch. Adhering to this visual design system ensured that, at a time when technology was changing rapidly, consumers could be confident of learning how to use each new Braun product quickly and efficiently. His design principles for usability are still applied today by companies like Apple. By the mid-1960s, Rams’ design style was regarded as the apex of modernity. Braun electronics were Sought-after by fashionable consumers, Braun’s products were even celebrated in the work of the British pop artist Richard Hamilton, who played with the company’s logo by replicating it as ‘Brown’ and ‘Hamilton’. 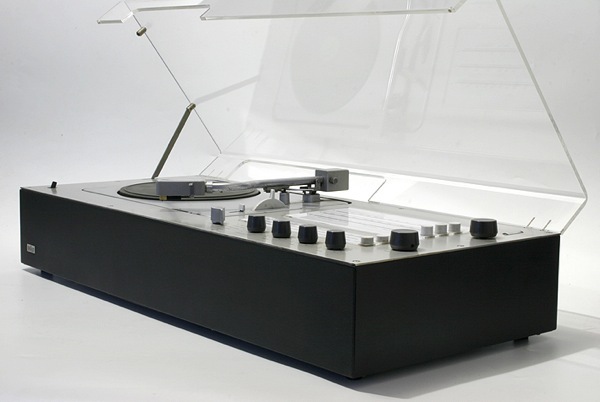 The direction of Dieter Rams’ work was still dictated by technology, and in 1965 he abandoned the glacial style that had proved so successful by replacing the pale base colour with black by coating each side of the units of the new Studio 1000 hi-fi system, except the front, with anthracite-coloured structured lacquer. 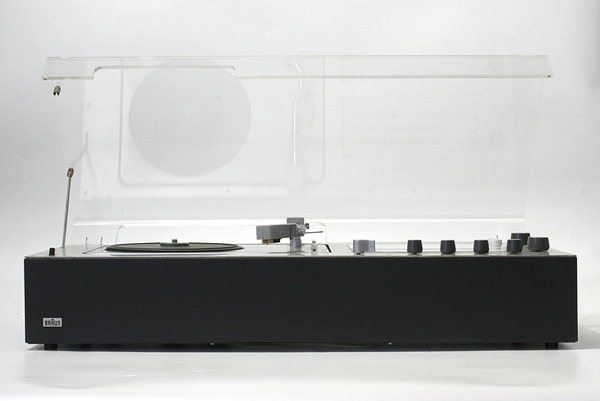 Marking the development of high fidelity – or hi-fi – technology, the black bases made audio units look denser and more compact illustrating their technical strength. Rams was also able to seal the units with unobtrusive elongated and rounded aluminium strips, rather than screws making them even more striking and minimalist. He then enlarged the knobs and switches of the units to suit the darker palette. Based on Dieter Rams design changes and influence over the industry, black dominated consumer electronics design for the next thirty years. 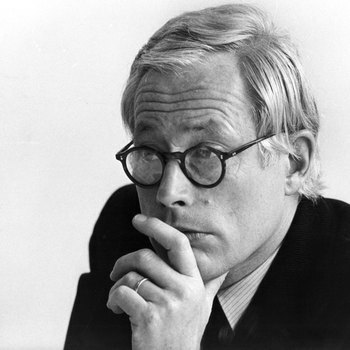 Dieter Rams remained design director of Braun until 1995 when he was succeeded by Peter Schneider. During his forty years at Braun, he developed products to be manufactured at vast scale and used daily by millions of people, yet he remained as provocative and questioning as ever in his quest for “good design”.